Kitchens & Bathrooms News has teamed up with JP Distribution (JPD) to offer its readers the chance to win a SensioSound Bluetooth Speaker light worth £94 RRP. 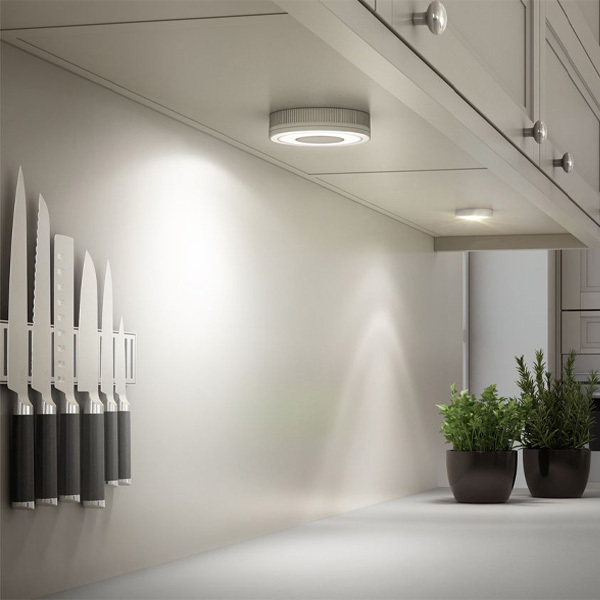 SensioSound is a dual purpose, under-cabinet light with Bluetooth speaker. It offers a high output 334 lumens of cool white or 228 lumens warm white LED light with a quality built-in speaker. It comes in a stainless steel finish with frosted lens for a diffused light output. The unit enables music to be played while cooking or entertaining, without cluttering the worktop with unwanted speakers. Wirelessly connect a mobile device to the SensioSound by enabling Bluetooth. Once this is done you’re all set to play your music through the fitting. The prize includes all that is needed for installation, a SensioSound unit and 12V driver. No receivers, wireless boxes or additional wiring are required, just a mobile device with Bluetooth. The fitting has an operational range of 10m. To enter the competition all you have to do is retweet the pinned tweet on the @kandbnews Twitter page and follow both @kandbnews and @JP_Distribution. The competition will run from December 1-8. A winner will be selected at random once the competition closes and the prize will be delivered before Christmas. JP Distribution is a national distributor of kitchens, bathrooms and bedrooms with a dedicated fleet that covers most of the UK. It’s been delivering an exceptional service for over 37 years to independent retailers, trade outlets, merchants and the residential contract market. It stocks an established collection of kitchen, bedroom and bathroom products under the Bretton Park brand and a broad selection of leading branded appliances like Beko, Smeg, Abode, Sensio. One winner will receive a SensioSound unit and 12V driver from J P Distribution. The prize is as stated and no alternative, substitute or upgrade will be given. By entering the competition you agree to be bound by these terms and conditions and all instructions set out above. The competition is open to registered UK readers of KBN over 18 years of age, except employees of JPD and Hamerville Media Group. No purchase necessary. Only one entry per reader. The judge’s decision will be final and no correspondence will be entered into. The winner’s personal data will be passed to JPD solely for the purposes of the prize being administered. Prize subject to availability.